Sutton United Puma’s currently under 10’s (current school year 5) are looking for players to join our existing squad as we step up to 9 a side from 7 a side. Preferably looking for players who have played or currently play football. Based in the B75 area, we train Friday Nights with match day on Sundays. We are currently looking for players aged 9/10 (school year 5) to join our friendly team. Training is Thursdays 6-7 Burntwood leisure centre. Get in touch and come along. GOALKEEPER REQUIRED. Brewood Junior Lions are looking for a goalkeeper to join our team for the under 9’s 2018/19 season. No previous experience is necessary, just a good attitude & willingness to learn. 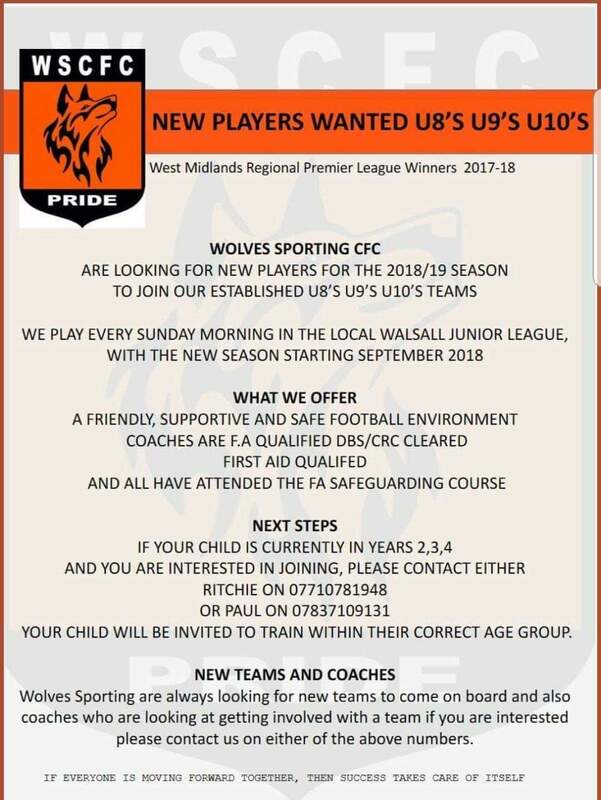 We play football on Sunday mornings in the Walsall Junior Youth Football League looking to play the game the right way with a great set of players and supportive parents. 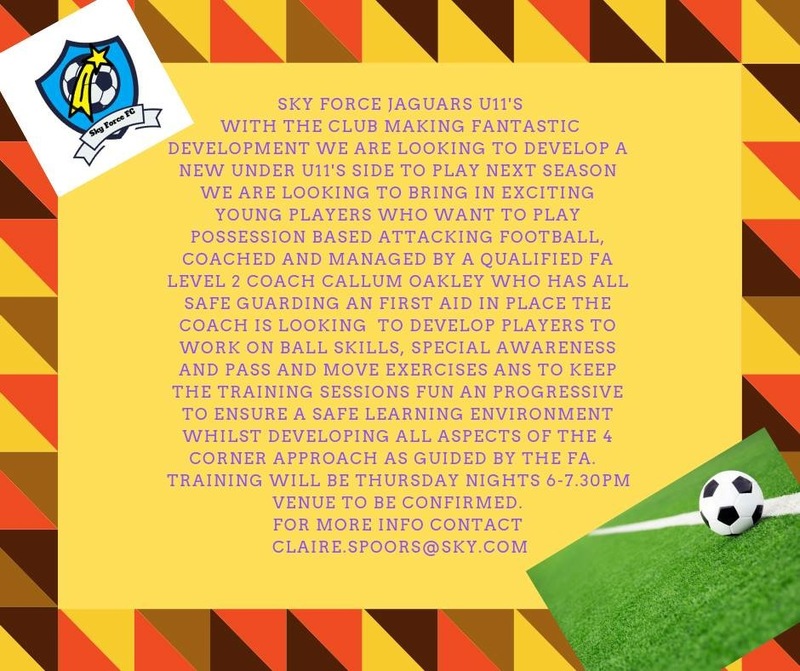 If your child is current yr 3 (yr 4 from sept 18) and would like to join a well-established organisation with many years of experience in youth football, we would love to hear from you. Afc wolves wanderers are looking for a goalkeeper and 2 outfield players to join a great team and a thriving club that’s all child centre. 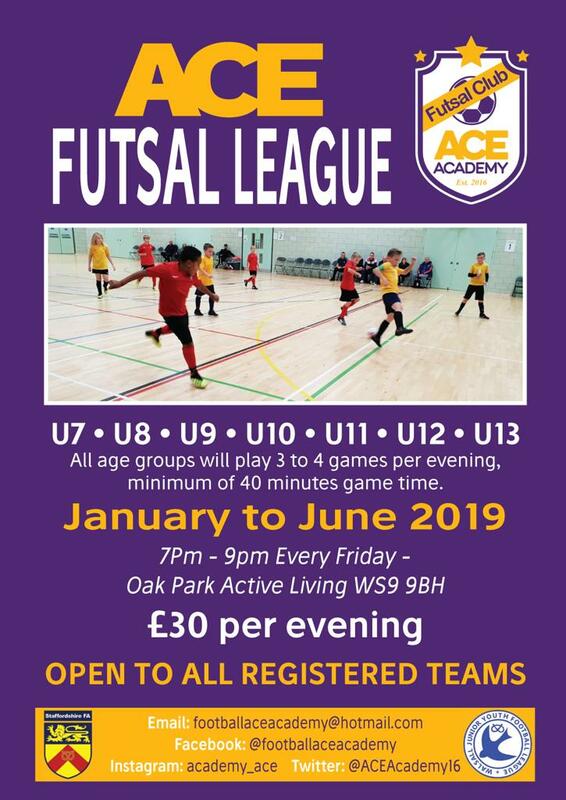 Great Barr Harriers u9s are seeking new players to join our team for the coming season we are currently looking for two or three players we are also putting together a futsal team so there will be plenty of football.please call Dean fisher on 07791 640288. Given that Leagues Hunt and Peters did not play last week, and the forecast for the days up to Sunday is not good and there is a likelihood that this weeks games on grass could be called off at Bustleholme and Shelfield, it has been decided to move the fixtures to 3g venues for this week only. 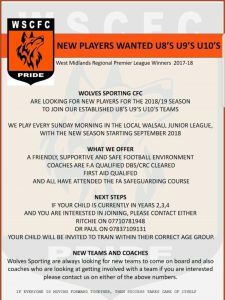 Walsall Phoenix Dragons U9s are looking to recruit an experienced striker to join an established friendly team. 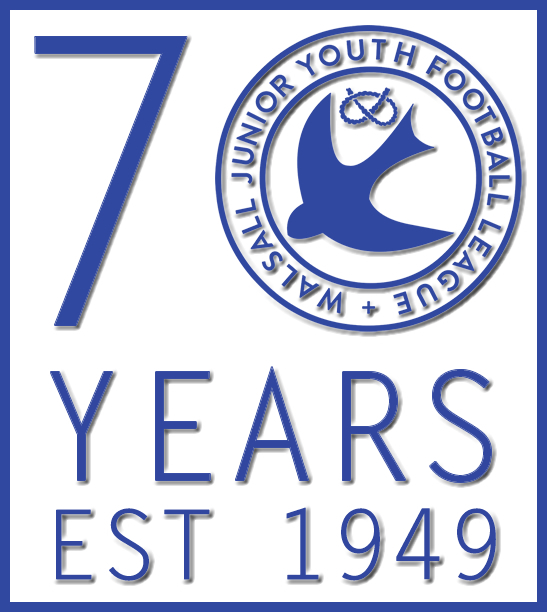 We train on Thursday evening at Shelfield and play in the Walsall Junior Youth League every Sunday (kick off times vary). 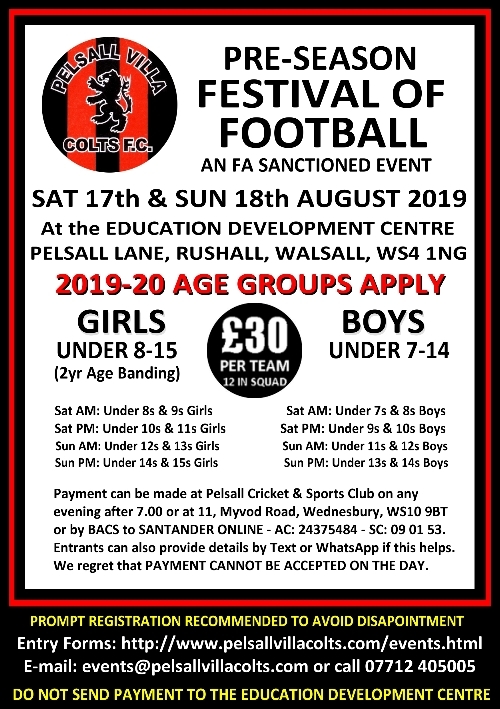 Walsall Phoenix are a well known established FA Charter Standard Club with over 15 teams playing at every age group from U7s to open age. 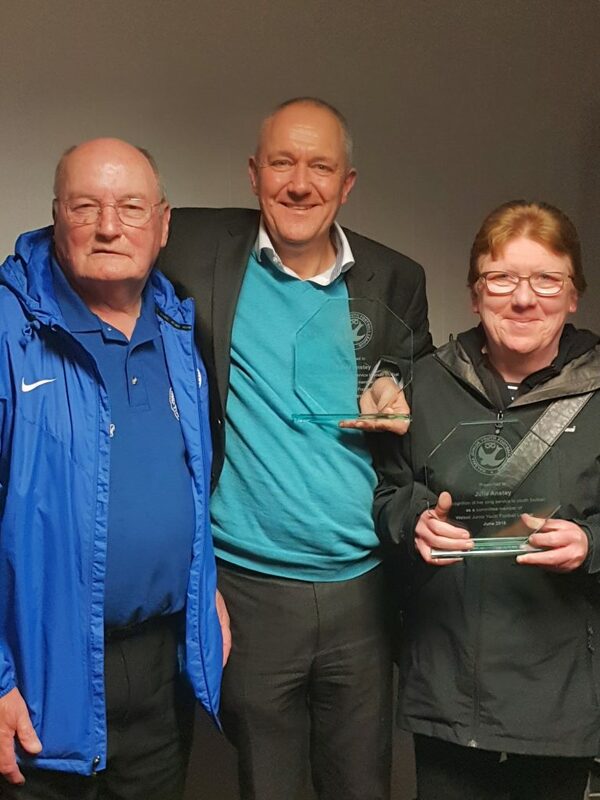 The team is a family orientated friendly group and we are looking to add a friendly, competent striker who is committed to training and playing every week. If you are interested please contact Mark on 07971 813604. Looking for additional players to join our team. We are looking to add to our squad. 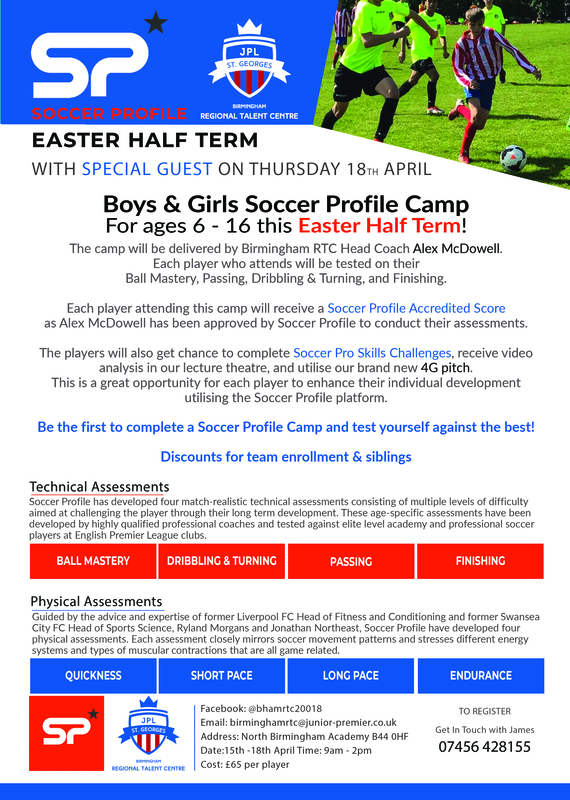 Is your child currently in yr4 at school and has football experience. 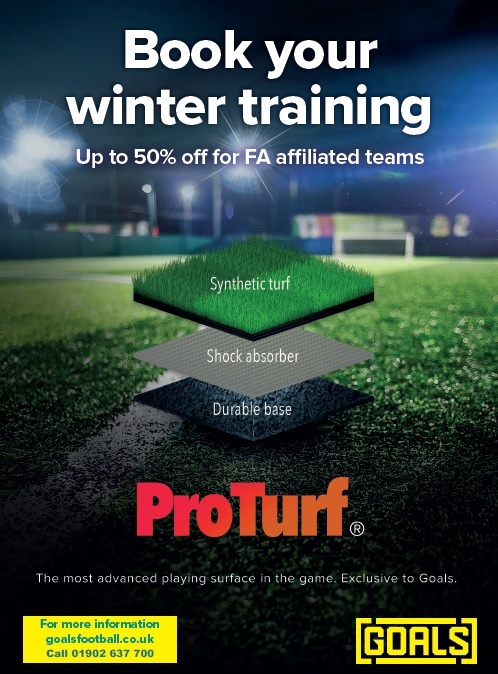 We train on a Tuesday night 6-7, winter training is being held at an Astro turf pitch in Lichfield. 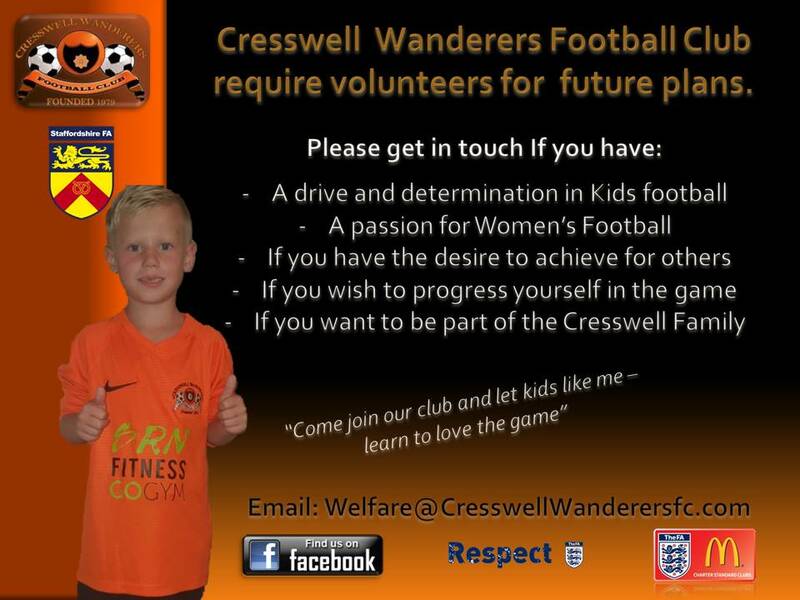 The rest of the season we train at Shenstone playing fields!! 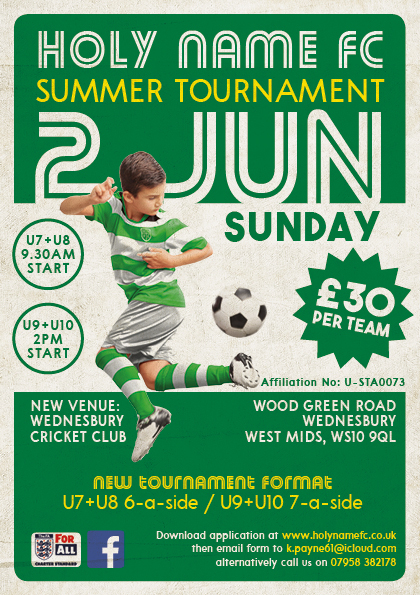 Great bunch of lads and parents, friendly atmosphere! The coach is FA LEVEL 1 OUTFIELD and FA LEVEL 1 GOALKEEPER qualified. Looking to add players to our team , children who are currently in year 4 . We train on Thursday evening at Pelsall EDC at 615 and will welcome players in all positions and of all abilities. Please contact James Webster 07473 765722 jameswebster@live.co.uk. We are looking to add one more player to our team of 8 for the new season, preferred position required is attacking midfielder/striker. The child needs to be going into year 4 September.